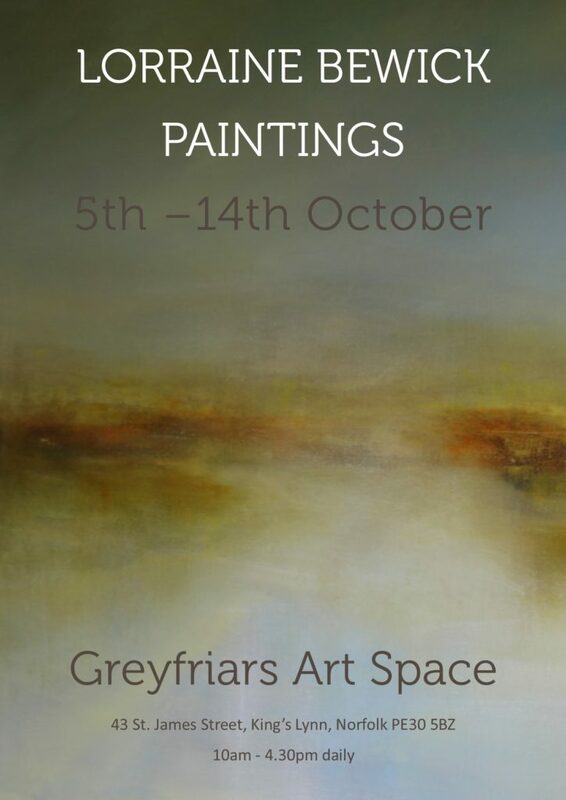 Lorraine Bewick returns to Greyfriars Art Space with her third solo exhibition of oil paintings. Inspired by the Norfolk coastline and surrounding areas, Lorraine captures the sense of space, light and atmosphere within her work. Open daily, 10am-4.30pm, from Friday 5 October until Sunday 14 October.